While U.S. citizens are legally permitted to take legal action for any land disputes abroad, U.S. nationals are not granted the same rights. Title III, signed into law in 1996 by former President Bill Clinton, provides a specific exception to this condition for Cuban nationals who want to file suit against anybody who has “trafficked” in (assumed an equity stake in or profited from) their property in Cuba which was confiscated after Fidel Castro took control in 1959 (LeoGrande 2017). Since its conception, though, the LIBERTAD Act has never seen the light of day. Before any Cuban Americans were able to file a claim, Clinton was pressured by various world leaders, among them numerous allies to the United States, to suspend the act, which would cost millions of dollars to their businesses operating on the island. U.S. businesses with Cuban endeavors would also be subject to any lawsuits filed under Title III. Clinton therefore created a clause subjecting Title III of the LIBERTAD Act to a semiannual review, giving his successors the option to suspend it if so desired. In January 2013, former President Barack Obama delegated the decision to the Secretary of State (Torres 2018). No president or secretary of state has yet opted to risk the aftermath of the bill in its active state. What, exactly, would be the price tag associated with upholding TItle III? When the Obama administration met with Cuban officials to begin negotiations to settle certified claims on confiscated American property in 2016, it was estimated that the 6,000 or so claims under review totaled $8 billion USD (Torres 2018). An enacted Title III would honor as many as 200,000 additional lawsuits filed by U.S. nationals, increasing the net worth of these claims to the tens of billions of dollars (LeoGrande). Besides completely overwhelming U.S. courts, the affair would effectively erase all hope of U.S. companies doing future business in Cuba, and countless foreign allies could potentially restructure trade policies to penalize the United States. Nonetheless, Cuban Americans remain exasperated as they watch property values skyrocket along the island without receiving any compensation. Right now, Cuba is experiencing a housing boom. After President Raul Castro opened the door for homeowners to begin buying and selling property in 2011, the market gradually grew, eventually becoming a frenzy, largely thanks to friendlier relations between the U.S. and Cuba under the Obama administration. 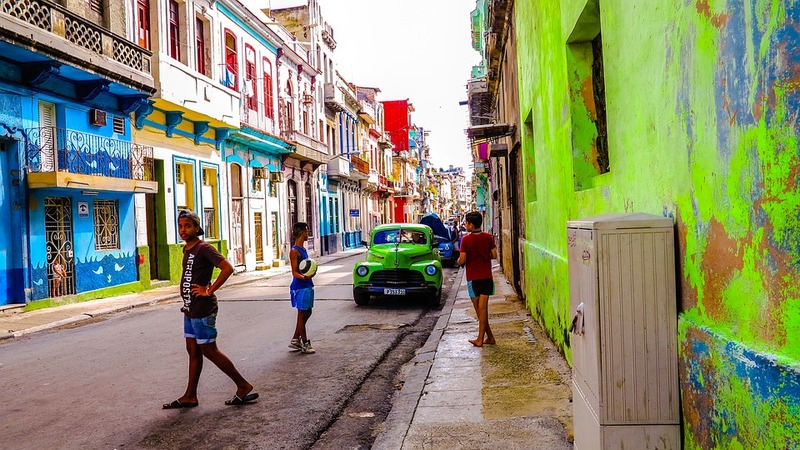 Although the U.S. trade embargo prevents Americans from buying real estate in Cuba, and Cuban law prohibits home sales to non-residents, foreigners have had no problems finding loopholes, and Cuban citizens have been happy to see the profits from the all-cash market (Kahn 2016). Homes, especially the popular colonial-style mansions and Art Deco apartments, have been selling in the hundreds of thousands of dollars, with houses in pre-revolutionary neighborhoods or with a coveted ocean view succeeding million dollar price tags. Many Cubans have taken advantage of these cash flows to buy more affordable housing and start their own businesses (Kahn 2016). Cuban Americans, who must pay $6,548 USD to simply file a suit under Title III, are hungry for their piece of the pie. However, with nearly two million U.S. residents being natives of Cuba or claiming Cuban ancestry, U.S. politicians remain uneasy as they consider the repercussions of an active Title III (Duany 2017). As for now, Cuban Americans will be waiting another six months to see if they have a shot at justice. Torres, Nora Gámez. 2018. “Provision that allows Cuban Americans to sue for confiscated property in Cuba is suspended.” 24 January. Miami Herald. Available to read here: http://www.miamiherald.com/news/nation-world/world/americas/cuba/article196472989.html [Accessed 1 February 2018]. LeoGrande, William M. 2017. “Will Trump Open A Pandora’s Box Of Litigation Over Cuban Property?” 10 July. HuffingtonPost. Available to read here: https://www.huffingtonpost.com/entry/will-trump-open-a-pandoras-box-of-litigation-over_us_5963b584e4b09be68c005468 [Accessed 1 February 2018]. Administrative Office of the U.S. Courts. 2016. “District Court Miscellaneous Fee Schedule.” 1 December. United States Courts. Available to read here: http://www.uscourts.gov/services-forms/fees/district-court-miscellaneous-fee-schedule [Accessed 1 February 2018].